Not all heroes wear capes, and in Sean Hanish’s “Saint Judy,” not all heroes can afford those capes. 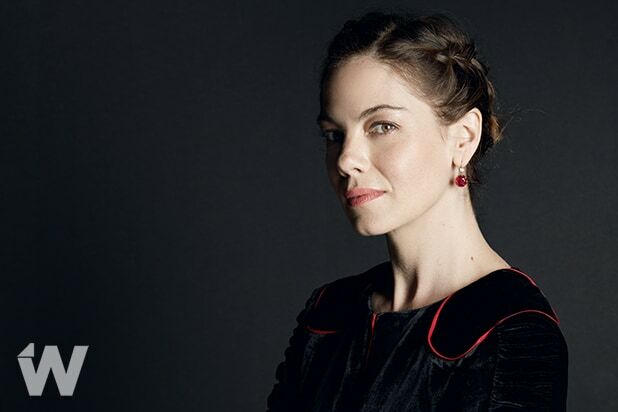 Judy Wood (Michelle Monaghan) is a determined and devoted immigration lawyer for her clients. Unfortunately, she’s better at arguing cases than she is at paying bills or spending time with her son, Alex (Gabriel Bateman, “Lights Out”). While she’s a soft-hearted advocate, Judy’s tough when it comes to the courtroom. Monaghan embodies Judy’s attributes into her performance, whether it’s her character’s zealous sense of duty, her persistence in keeping her relationship with her son, or her frazzled exhaustion at the end of the day when there are still so many people still left to help. In some ways, Judy’s personality sounds so familiar because she shares many qualities with other well-meaning and determined lawyers in movies. Think Atticus Finch from “To Kill a Mockingbird,” a man who believed that justice will prevail over prejudice, or the determined dogged spirit of Erin Brockovich in her namesake movie. In Judy’s case, she takes a special interest in Asefa (Leem Lubany, “Rock the Kasbah”), an Afghani teacher pleading for asylum. If Judy loses her case and Asef is deported, the young woman will likely lose her life for defying the Taliban. The film’s events take place in 2003, when the already crumbling immigration system became upended in the wake of 9/11. Common, here playing a counsel on behalf of the state, remorsefully explains the situation for the uninitiated in the audience, describing the branch’s shift from Immigration and Naturalization Services to becoming Immigration and Customs Enforcement (ICE). However controversial ICE’s conversion into a militarized force has been, the film doesn’t take a political stance on the organization. Judy even calls Common’s character, Benjamin, “one of the good guys.” The first immigration judge (Alfre Woodard) seen in the movie admits her hands are tied on the matter of a ruling, leaving the impression that the people working on this side of law enforcement may mean well but cannot do more for people than what is explicitly permitted. Fortunately, the movie does dig into the apathy of a system that’s overcrowded and under-regulated. When Judy joins Ray’s (Alfred Molina) practice, she inherits Asefa as a client, and it’s clear that the asylum seeker has been more or less abandoned by the cynical Ray, who has no faith in her case. Asefa was drugged by those in charge of her in the immigration detention center — another group of people who have no interest in helping someone they see as a lost cause — and it’s possible she might have been kept in that state until she was shuffled out of the United States. Over the course of the film, Ray turns out to be a much more complicated character than when he’s first introduced as a man worried more about collecting payment than about his clients. He later admits he was like Judy once, tenacious and determined to save his clients, before he too was beaten down by the immigration system. The work has hardened his bleeding heart to stone, showing how this complicated, gnarled system can eat those on either side of the courtroom. Inadvertently, “Saint Judy” arrives at a timely moment in politics, just as calls for a border wall continue and politicians have once again stoked hatred and fear of outsiders. As coordinated political attacks on asylum and refugee statuses escalate, here’s a movie walking viewers through the difficult process while giving a positive depiction of those caught in the system: a man fleeing persecution, a teacher arrested for trying to teach girls to read, a child soldier with PTSD, a licensed doctor unable to practice because of a visa issue, and a father ripped from his family, among many case files. Asefa may the movie’s main example, but several times throughout the film, she extends her situation to that of others in her shoes, especially persecuted women. They face a judgment that could send them to their deaths. But despite a star-studded cast, a strong performance by Monaghan, and Ben Schnetzer’s scene-stealing moments as rich lawyer’s kid with impressive language skills, “Saint Judy” feels wanting. Richard Wong’s warm cinematography and Hanish’s direction look like fairly standard visions of a Los Angeles-based story. The script from first-time writer Dmitry Portnoy falls into a number of traps of courtroom movies. Many of the movie’s most egregious tropes come out towards the end during (of course) the very important last chance in court to fight for the client. Lots of familiar faces show up throughout the movie to support Judy and Asefa and to see if her case will mean a breakthrough for their immigrant communities, somewhat like the court scene in “To Kill a Mockingbird” where the town’s Black community attends to watch the proceedings. Unlike the professional manner of the first trial, these appeals judges don’t take the two women’s case seriously; what a preposterous idea to challenge legal precedent! After the movie spends most of its runtime as a restrained procedural, the wheels come off and the tone rolls away into a standard uplifting inspirational speech. It’s a letdown for a movie that has its heart in the right place to resort to so many clichés. “Saint Judy” is at its strongest when focusing on the experiences of Judy’s clients, and watching the emotional weight on their shoulders slide off as they open up to her. This gives the movie its sense of purpose and drama. “Saint Judy” not only tells the audience that the burden of proof is on immigrants, that they’re “guilty until proven innocent,” but shows how difficult it is to overcome that situation. For all its good intentions, though, the film is an illustrative tool on just a small corner of the immigration crisis. Actress Michelle Monaghan, "The Path"